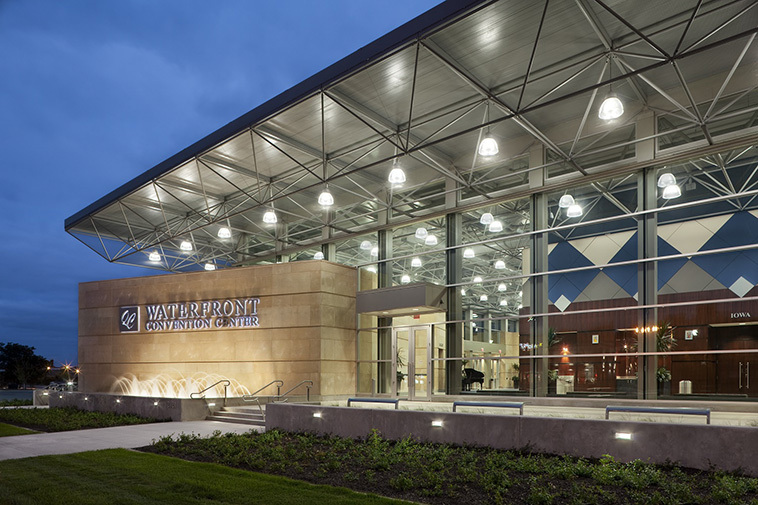 Space frames signify the distinctive architecture of the Quad-Cities Waterfront Convention Center…the epicenter for events in Bettendorf, Iowa. 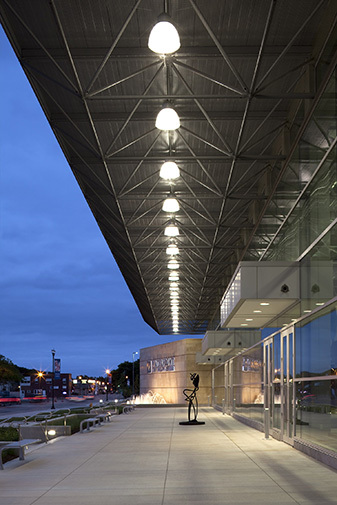 The contemporary glass, stone and steel latticework structure was created using space frames to reflect the modern image the city wanted to project for its downtown. The roof of the 24,000-square-foot convention center is supported by space frames and extends from inside to outside along two sides of the building for a sleek look from any angle. 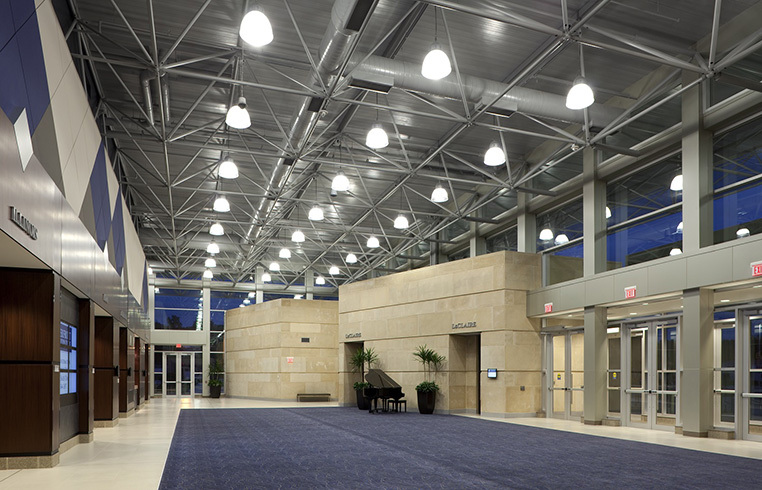 The concourse boasts a soaring space frame ceiling accented by globe lights. This gives the single-story structure visual height along with a truly impactful presence in the evening. 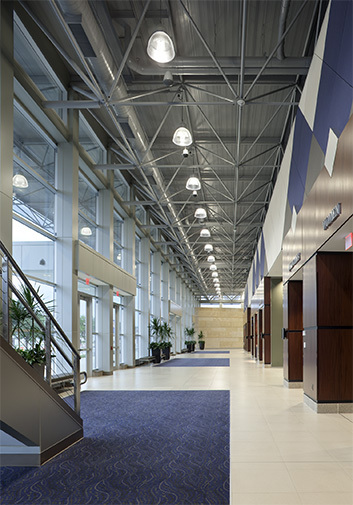 Manufactured and installed by DSI Spaceframes, the space frames carry over to the porte cochere, as well. 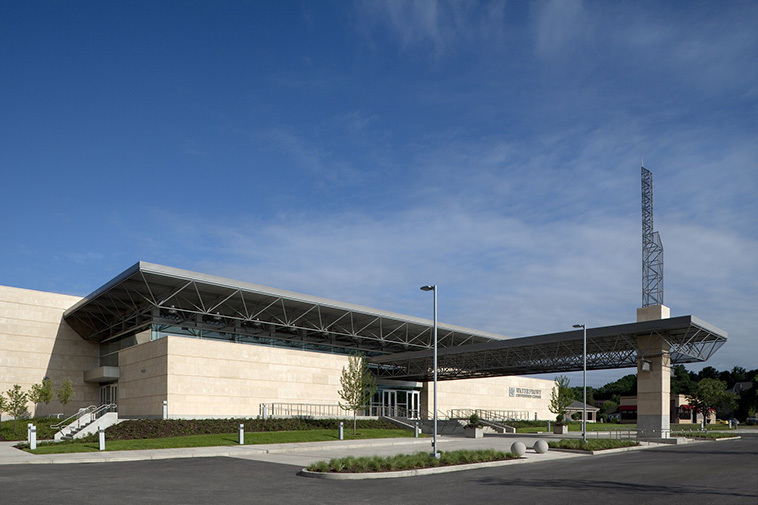 Space frames provided the perfect framework for this state-of-the-art multipurpose facility.